On Thursday 24th January, a group of children in KS2 represented our school in a swimming gala at the Meridian Leisure Centre, Louth. 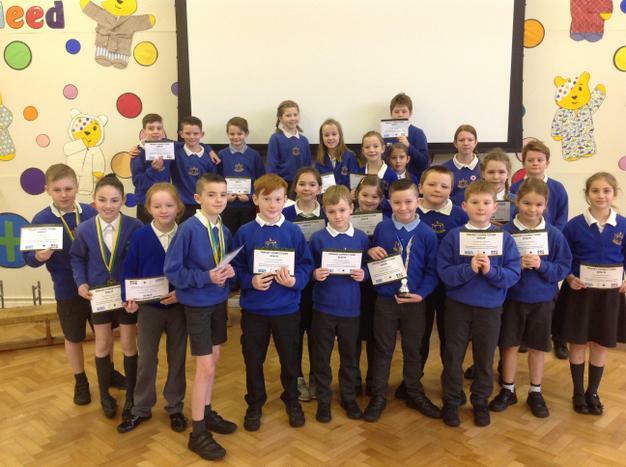 The children swam a wide range of events and achieved medals for wins against local schools! The Year 3 and 4 children finished impressively in 1st place and the Year 5 and 6 children finished closely behind Woodhall Spa in 2nd place – only two points behind! The children were in great spirits – cheering on and supporting each other! An excellent effort by all children involved!